Square Enix and Psyonix are bullish on the Nosgoth competitive scene, so much so that they’ll be starting leagues for the game this October. We had a chance to pose some questions to Game Designer Jonathan Osborne to get some insight into how leagues will be handled and what players can look forward to. MMOBomb: The league season starts Oct. 1. When does it end? What will be the typical rank of a season and will they operate continuously or will there be downtime in between? Osborne: The plan is to run each season for a full month, so Season 1 is planned to end on the 31st of October. Our plans currently are to run seasons continuously, but we’ll adapt as needed to make the experience as good as possible for the players. Outside of the monthly Seasons, we’ve been exploring the idea of running other types of series around special events, and we’ll be launching a Team Series at a later date. MMOBomb: There are prizes given out for anyone who achieves Bronze rank or higher in ranked matches. Can you give us a rough idea of how many games someone would have to play to achieve that rank? To put it another way, what chance does a lousy player like me have of making it? Osborne: Players in the league can be ranked in Bronze, Silver, Gold, and Blood in tiers from V to I. We have a special Eternal league for the top 100 players at any given time. All you need to achieve Bronze is to complete 5 ranked matches at which point you’ll be placed. The juicier prizes are obviously higher up the ladder! MMOBomb: How do you handle leavers? Do players still get ranking credit for leaving a match early? Osborne: We have a punishment system in place for people who leave a match: They’re banned from matchmaking for a period of time, and in a league match they lose league points. The points lost are greater than a normal loss would be. Leaving early also makes you ineligible for points from the bonus pool, which will impact your ability to climb the leagues. We take the issue of leavers incredibly seriously as it can ruin the experience for everyone else so when we hit Season 1 we’ll be monitoring the severity of the penalties and reacting accordingly. MMOBomb: How does ranking work with regards to individual vs. team success? If I’m a great player and am on a bad team that loses, how does it impact my ranking? Osborne: Your league points increase when the team you’re on wins, and decrease when they lose. In that sense team success is more important than individual performance. However, after every ranked match players are sent back to the main menu and need to match-make again, so the teammates you’re matched with and the opponents you play against will be different over time. 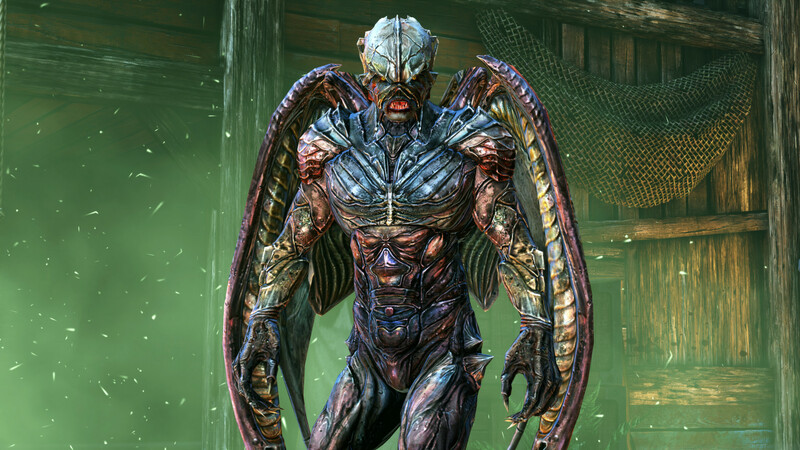 Nosgoth is primarily a team game first, therefore the emphasis is on team success. Players are free to use whatever tactics they feel will achieve victory, without an arbitrary scoring system deciding which tactics are better. If you think that temporary disabling one enemy to give a teammate the chance to get away is more valuable than snatching a kill then that’s up to you. We recognize that team play is crucial in Nosgoth, which is why we’ll be introducing a Team Series in the future, offering our players a choice as to how they want to participate. MMOBomb: You’ve really put an emphasis on leagues and competitive play recently. Where do you see Nosgoth headed with regards to that kind of gameplay? Osborne: Well I think competitive play is what Nosgoth is all about; playing competitively is exciting, and spectating competitive matches is exciting. I think we’ll be seeing even more emphasis on the competitive systems moving forward. Nosgoth imo always had strikingly unique classes unlike most games. I enjoyed it when I played it. Haven’t played in so long! Might have to download again!